If you lead a Sales Development team, or are in Marketing and deliver them leads, I'm sure you've been involved in debates about how many times a rep should attempt to reach a prospect. You have a process. But are you able to accurately track it in Salesforce? For most orgs, Activities with Leads will be the best report type. If you include leads that your reps are currently calling, it will skew your numbers. Similarly, you don't want leads your SDRs have disqualified without ever attempting (competitors, students, cartoon characters, etc.). 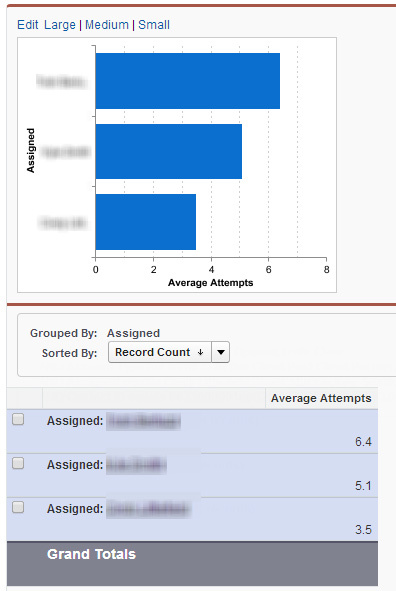 For best results, you want to include only the leads that your SDRs have attempted, but not reached. In our org, we disposition those leads to "No Contact." This is a key step to getting the report right. Use whatever lead status means 'tried to reach | never did' in your org. Automatically generated activities will throw off our numbers. For my taste, I remove things like mass emails, email opens, email replies, etc. I want a nice clean list of phone and email attempts by the SDRs only. 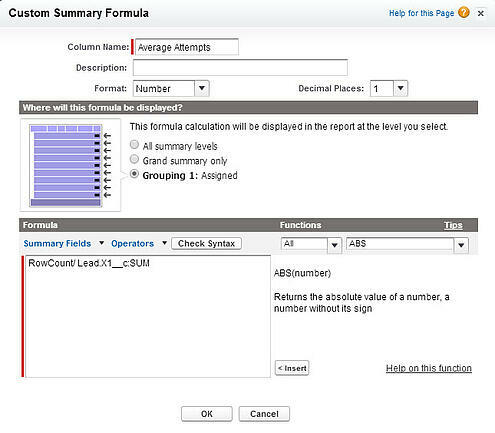 Next you'll want to set the report format to "Summary" and group by rep. I used "Assigned" as my grouping. At this point, make sure to save the report. This part requires a quick detour. 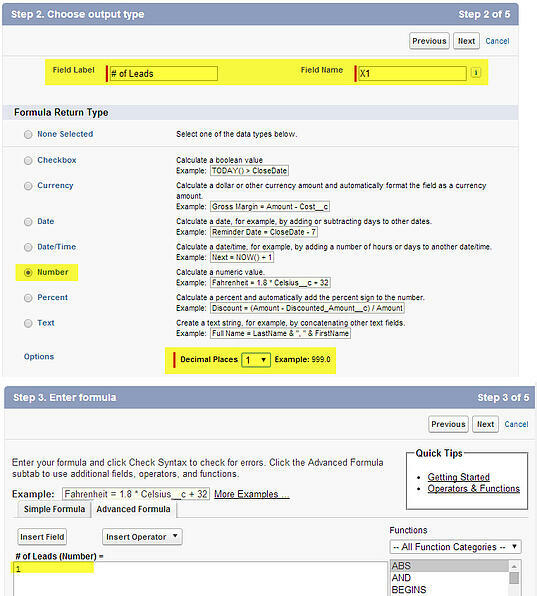 You need to create a custom formula field on Leads. Your report should look like this. 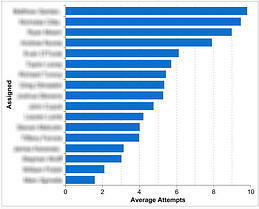 I added a chart at the top and sorted by Average Attempts descending. It's critical that you know if your calling methodology is being followed. Attempts per leads is a key indicator. This report will give you visibility into Rep and aggregate levels. If you run into any issues, let me know in the comments and I'll be glad to lend a hand. Matt writes about inside sales metrics & trends. He is co-author of The Outbound Index. Connect on Twitter.